Niall is the newly appointed Chief Executive Officer at Polymateria Chief Executive. Previously he was at BT where he led the company’s Purposeful Business Agenda. Over Niall’s seven years at BT he has enabled break through value creation for the organisation, specifically through leading the growth of BT’s Net Good (Environmental) portfolio from £1.6 billion valuation in 2010/11 to £5.2 billion in 2017/18. Additionally, Niall unlocked new growth opportunities across the Group globally through its Connected Society agenda which has helped over 3.9 million people overcome social disadvantage by launching new “Inclusive” products and services. Recently, Niall has had his leadership mandate expanded to encompass a major brand refresh for BT Group to help put Purpose at the heart of BT’s brand and back this up through aligning its strategic choices, innovation portfolio and culture change programs to ultimately create a more agile culture and transform advocacy amongst its major stakeholders. This has required aligning disparate functions within BT around the need to better understand the values of society and champion them into the digital revolution. Niall is working with top academics, government and industry experts and NGOs to better understand technologies full impact on society and build coalitions that create “Society First” policies, innovation portfolios and where necessary consumer behaviour change campaigns that create shared ownership and action. Niall is a passionate advocate of technology’s ability to create new systems for growth which can sustain and empower a world with an increasing population. He speaks regularly on the critical need for more purposeful business leadership and how this is reflected in BT’s own corporate strategy, brand, product portfolio and approach to spotting new markets and growth opportunities. Niall was selected by the World Economic Forum as a Young Global Leader (YGL) in March 2012 and is an active participant of WEF Global Agenda Councils. 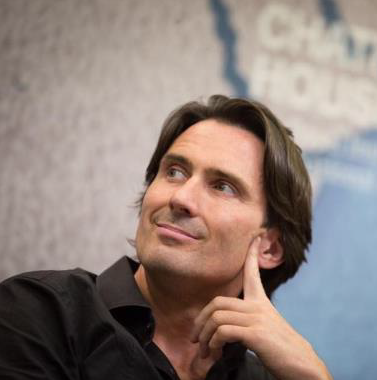 As vice chair of the GAC on Sustainable Consumption (2012-14) he identified breakthrough scalable ideas and new pathways to advance progress on sustainable consumption globally. In summer 2014 he accepted the invitation to join the GAC on Climate Change which will develop innovative ways to accelerate a global reduction of greenhouse gas emissions. A keen athlete since his youth, Niall represented Ireland internationally as an 800m runner, and is an advocate of the power of sport to make real change, and in particularly how sport can be a vehicle to inspire people worldwide to take action to meet the Sustainable Development Goals (SDGs). In 2015, Niall launched 100% Sport, a global movement to inspire sport fans around the world to take action to live and work more sustainably. From Glenageary in Dublin, Niall was one of Ireland’s top 800 metre runners. He holds a Bachelor of Science degree from Manhattan College in New York and is a graduate of the Harvard Kennedy School’s course on Global Leadership and Policy for the 21st Century.